CookingCute.com has recipes for unconventional but very delicious-looking bentos. 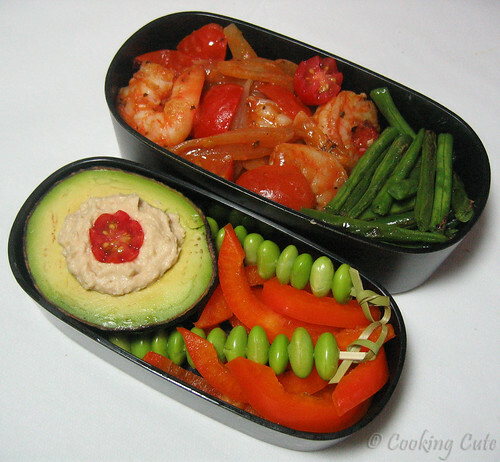 The photo below shows tomato-basil shrimp with onions (top) and a small avocado half stuffed with hummus and grape tomato (bottom). I would gladly devour either one, or both, if asked. Let the purists complain. Bentos like these will always be welcome at my table.